Established in 1987, Topline Roofing has a proud reputation for providing the very highest quality workmanship across industrial, commercial and residential roofing projects. You can trust Topline’s team of roofing specialists to complete your project with integrity and professionalism, on time and on budget. All of our team are NZQA qualified roofing experts and we have the tools and training to repair, replace and install metal roofing, provide flat roof solutions and supply quality roofing accessories. You can trust us to provide prompt, friendly service, backed by comprehensive experience and expertise. 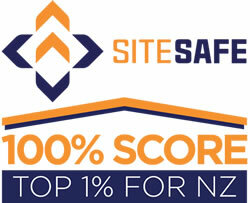 As members of the NZ Roofing Association, we stand by our work in line with its warranties. We pledge to offer you trustworthy roofing advice and high quality roofing solutions for cost-effective results that are built to last. Topline has always taken Health & Safety very seriously. We strive to ensure that every member of our team works to Health and Safety best practice at all times. We have a dedicated HSE Manager responsible for overseeing our health and safety programme ensuring compliance with the latest workplace safety guidelines. "In my opinion, the project success was due to Topline's professionalism and the hands on approach taken by their project manager. Every aspect of the work was planned and well communicated." "All of the products we use are proven effective and come with solid manufacturer's warranties. They are robust and are designed with longevity in mind." "We work very hard to attract and retain the very best people in the industry to work at Topline Roofing. We recognise it is our people that make the difference and are the most important factor in ensuring the successful completion of our clients' roofing projects." "Our considerable experience in project management means that you’ll always have the best people for the job and their work will be highly co-ordinated. Our expert knowledge of roofing industry rules and regulations means your project will run efficiently and smoothly. The project manager acts as a single point of contact and by overseeing the process from start to finish he will ensure your roofing project is completed with minimum disruption to your workplace." "On a complex job such as this one, combining both roofing and plumbing works, the client can rest assured that every tradesperson has been security checked and adheres to industry regulations and licensing rules. At Topline, we are members of both the Master Plumbers, Gasfitters & Drainlayers Association and the NZ Roofing Association, offering the client additional peace of mind that we will treat their premises and property with respect." "When work is in progress at a great height on a major roof job, Health and Safety is much more than simply a matter of compliance for Topline. It’s about proactively taking positive steps to ensure we get our people home safely at the end of each shift using the most up-to-date equipment available."